There are many similarites between the African American and Latino American communities in the U.S. Unfortunately, one of the glaring commonalities is a reality of living with the extreme police brutality experienced in our communities. However, despite sharing this horrendous fact of our society, an embarrasment to the U.S. everywhere in the civilized world, the levels of attention that mainstream American news media gives toward these two respective communities and their shared problem of police brutality is dramatically different. 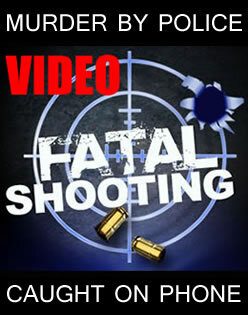 Take for example the situation this year between the police shooting of Michael Brown (Aug. 9) in Ferguson, MO, and the four Latinos (emphasis "four" people) killled by the police in Salinas, CA, this year: Angel Ruiz (March 20); Osman Hernandez (May 9); Carlos Mejia (May 20); and Frank Alvarado Jr. (July 10). Whereas the nation and world are both currently a buzz regarding the situation of one African American male in Ferguson, the similar deaths of four Latinos in Salinas are little talked about by mainstream media and thus relatively unknown. In discussing the lack of national news coverage being given to the crisis in Salinas, a few of the local residents have repeatedly stated to Mexican American News, "Does America really want us to start acting like Ferguson to be heard?" Truly, that is a valid question for the national news media. 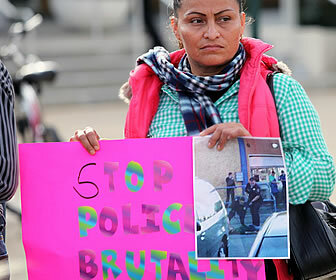 SALINAS, CA - Earlier this month, Angelica Garza (sister of police shooting victim Frank Alvarado Jr.) said she didn't believe Salinas police engaged in discriminatory suppression. Wednesday night, she changed that view.